Looking for the best flea treatment for indoor cats? If you have no time to do your own research, maybe you should know that Dr. Fox has concluded that the product you ought to consider is the Elanco Cheristin for Cats. 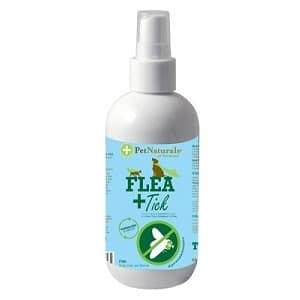 This flea drops are easy to apply and have been found to be effective as they can decimate the flea population within twelve hours. The effect of the product lasts for a whole month, which means that you don’t have to repeat the process ahead of time. If you have no means of trying the Cheristin, you bear the Bayer Advantage II in mind. This topical solution should be used once a month and provides long-lasting protection against fleas. It starts killing them within 30 minutes after applying it. It is designed to eliminate all fleas within 12 hours and prevent new ones from attacking your cat for up to one month. The non-greasy formula is easy to apply and quick drying. As with many other similar products, we don’t recommend using it on kittens younger than 8 weeks or smaller than 1.8 pounds. It shouldn’t be used on any other animals. The package contains six flea drops, which means they will help keep pests away for half a year. Recommended by vets, this flea treatment from Bayer is available in three different sizes, depending on your cat’s weight. The product is easy to apply and is designed to treat existing fleas and prevent further infestations. It starts working within 12 hours, and one dose should keep your pet out of trouble for an entire month. It is odorless. The product will only kill fleas that come in contact with the animal. If you deal with a flea infestation in your home, we suggest opting for additional repellants and treatments. Most customers who ordered the item claimed it is effective and easy to use without causing irritations. If you’re looking for an alternative solution you can apply anytime you take your cat outside, the wet wipes from Pet Naturals of Vermont could prove a good choice. Enhanced with natural Brazilian oils, they will prevent fleas, ticks, flies, and mosquitoes. Each wipe contains active ingredients and doesn’t leave behind oil residues. The wipes are just a temporary solution that won’t last after the entire formula is absorbed into your pet’s skin and fur. We suggest using additional anti-flea treatments as well. What we liked about these wipes is that they can be used on cats, dogs, and even horses, preventing bug bites and itches. Out of all the alternatives available for sale these days, flea drops are by far the easiest to apply. This is the case of the Cheristin, which seems to have been developed to give a helping hand to pet owners who don’t want to risk their cat’s health. As with other choices in the same line, this one needs to be applied at the base of the neck of your cat. The applicator tip is convenient and easy to utilize, which is why your cat won’t even be able to tell what has happened. The effects of this solution last for a whole month, thus ensuring that your kitty is protected and safe from harm. This package comes with six flea drops, so you have more than enough for half a year. 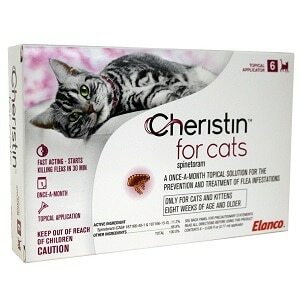 One of the reasons that the Cheristin is one of the critically acclaimed choices out there is that it kills all fleas on your cat in as little as twelve hours. Bayer makes some of the most popular flea products ever to have been invented, and so it was only natural for Dr. Fox to showcase this choice. 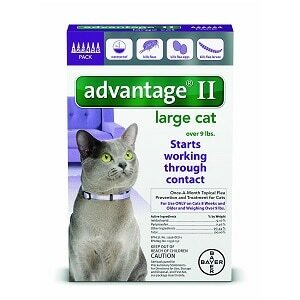 The great thing about the Advantage II is that it speaks to the needs of various types of cats. You can opt for that which has been specially developed for cats with weights from 2 to 5 lbs, 5 to 9 lbs, or over 9 lbs. The product is available in several types, which is to say that you can get it in 2 doses if you aren’t convinced that it will work for your cat, or you can purchase a six-month supply. As with the Cheristin option showcased in this selection, the Advantage II is a flea drop that can be utilized with ease, and that’s waterproof. 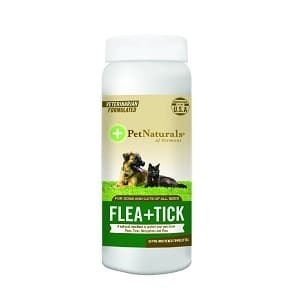 Having been endorsed by veterinarians, it seems that this alternative really does the trick when it comes to breaking the flea life-cycle stages. If you do not intend to use a flea killer that might have any side effects at all, perhaps you should go for a natural option. These repellant wipes could be what you might have been looking for if you care about the health and safety of your pet. The wipes smell nice, are easy to use, and provide a clean means of getting rid of the fleas on your cat. Besides, they are non-sticky and leave no oily residue, which is why your kitty will not reject them. Because this product contains no chemical-based pesticides, it is entirely safe to utilize. Some of its ingredients include lemongrass, cinnamon, castor oil, as well as sesame oil. It is made for dogs and cats alike, so you should definitely give it some thought if you have both a cat and a furry canine friend. As some of those who were kind enough to provide feedback about this product have pointed out, these wipes might not be perfect, but they are better than putting systemic pesticides into the bloodstream of your pet. 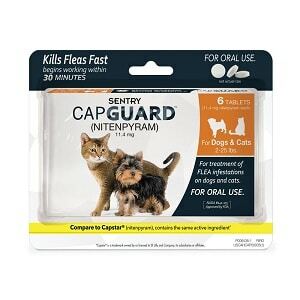 If you have nothing against using oral flea medication for your feline buddy, perhaps the Sentry Capguard might make a good choice for you. After all, it is an effective alternative given that it can get rid of the fleas on your pet in as little as thirty minutes. Therefore, it is an excellent option for cats who have flea allergies and want to feel at ease after having lost them. The scratching behavior manifested by your cat after you’ve given him or her the pill is natural because the drug affects the parasite’s nervous system and makes it feed. The tablet is easy to administer, at least judging by what other consumers have had to say about it. In order to be able to give a pill to your pet, the latter has to have a weight of at least 2 lbs and needs to be older than four weeks. Most of the users who have reviewed this product say that it works fast and is efficient. Flea sprays aren’t ideal for cats because they like to groom themselves as often as possible. That’s why we felt compelled to add a natural alternative to this selection, so that even owners who are accustomed to using such solutions can have their cake and eat it, too. The choice comes with most of the ingredients of the wipes we have described, as well. It contains no synthetic chemicals or drugs, which makes it remarkably safe to use on both dogs and cats. Some owners who have used it on their feline pets have reported that the key to utilizing this product efficiently is to be diligent about the whole process. Because it’s non-toxic, it might not provide long-term results, which is why it recommended that you use it each day or every two days. People who have kittens as young as three to four weeks can also use this product, provided that they don’t overdo it. If you want to make sure that you buy cat flea treatment that’s specifically designed for your pet, you ought to take the time to read this buyer’s guide. It’s straightforward and comes with all the information you need to make the right decision both for yourself and your cat. Let us get something out of the way right off the bat. The right flea killers for your indoor cat have nothing in common with the best flea treatment for outdoor cats. Sure, some might be as effective for both pet categories, but you need to keep in mind that your indoor pet doesn’t come in contact with external parasites as often as one that lives outdoors. We had to make this distinction right at the beginning of the guide because all pesticides have side effects. Topical solutions get into the pet’s bloodstream and reach the liver, so repeating flea treatment ahead of its time or over and over again can lead to various liver diseases such as hepatitis or fatty liver. Of course, the means through which your cat can get fleas are endless, as you can bring them into your home on your clothes. However, with some indoor cats, milder methods like using natural shampoos or powders or a flea comb once in a while might do the trick. Flea treatments come in many forms. For example, you could opt for flea drops if you can’t be bothered with worrying about whether your cat might suffer insecticide poisoning or not. If your pet has nothing against taking baths now and then, flea shampoo could be a great choice. Other alternatives range from powders and sprays to collars. The latter are to be preferred if you’re looking for a good cat flea treatment that lasts for a while and that can keep your pet protected for as many as eight months. Additionally, you should consider whether you’d like to use a natural alternative. Some extracts like peppermint, eucalyptus, rosemary, citronella, and a variety of others can actually do a good job when it comes to killing adult fleas. They might not be able to do the same with eggs, but since they’re non-toxic, there’s nothing stopping you from using the same treatment one week after the initial application. While with some choices like shampoos and powders, things are somewhat easy, it’s not the same for topical solutions such as flea drops. The dosage has to be as exact as possible so that you don’t end up using a product designed for 9 lbs cats on a 4 lbs one. The age of your pet also has to be borne in mind. You can’t use flea treatments made for adults on a kitten because the latter doesn’t have the same immune system and his or her weight is probably under the limit allowed by the manufacturing brand for said product. 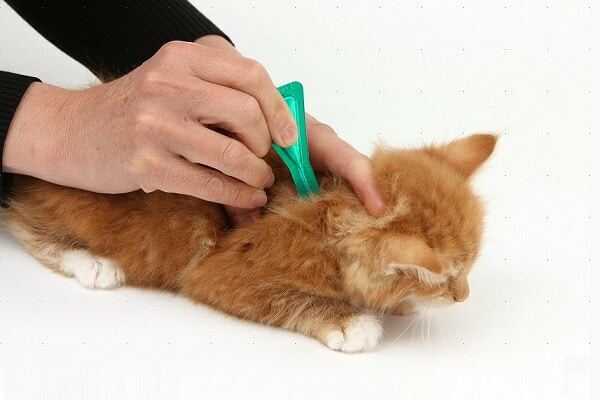 For such small and frail pets, many flea treatment reviews recommend using a flea comb for cats.